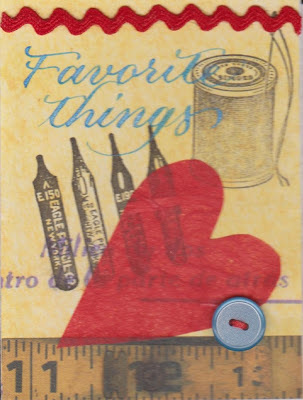 And here's my November 2012 ATC. A blatant copy of the design from my very first ATC, done in 2005. 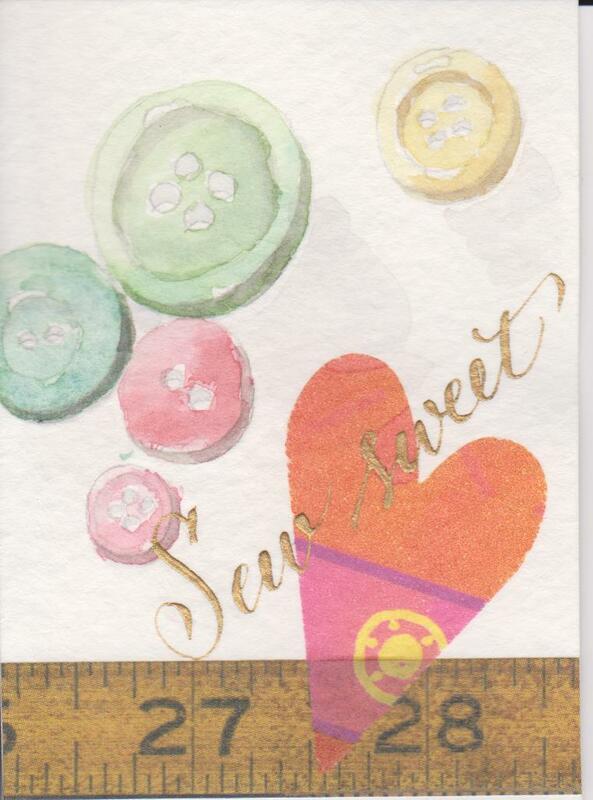 I was so busy with holiday tasks, that I seemed to have no new inspiration for this card. 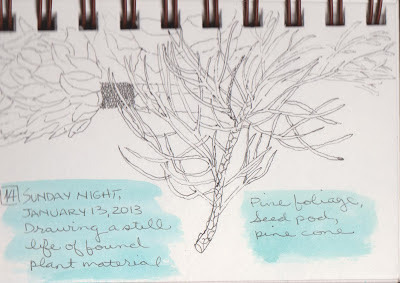 #15 - Plant material I picked up on a walk in the neighborhood--the seed pod is close enough. 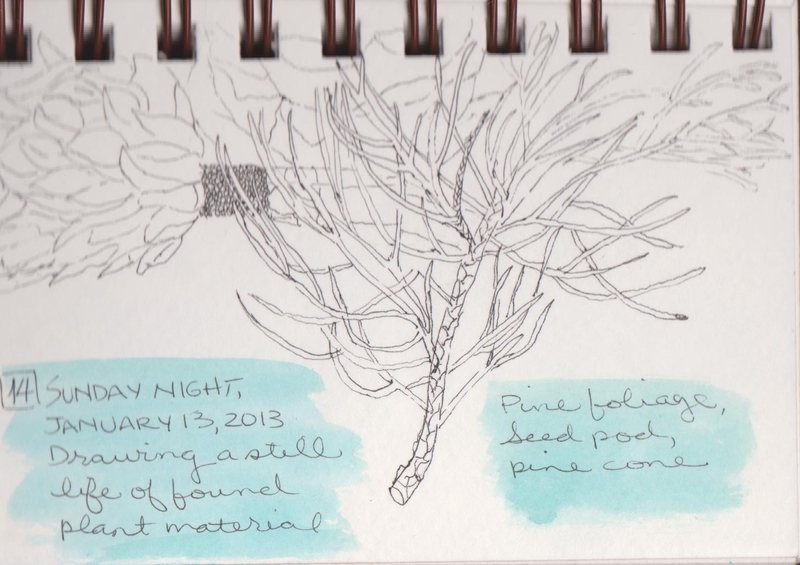 I simplified the pine foliage--this particular bough was much more full, but I didn't have all day to draw it :-). 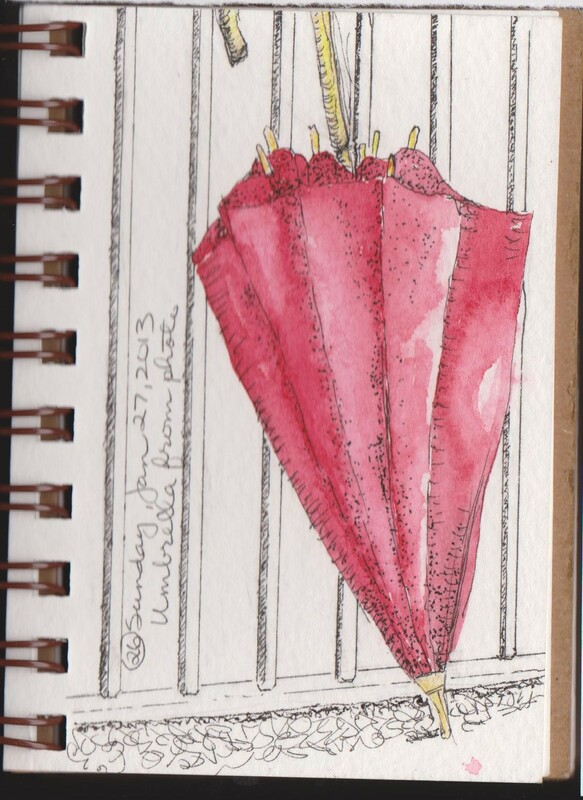 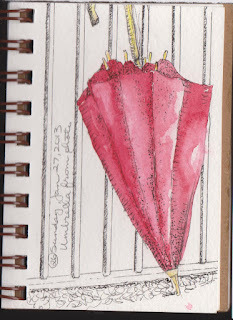 #s 24 & 26 - the shading needs more work, especially on the umbrella sketch. 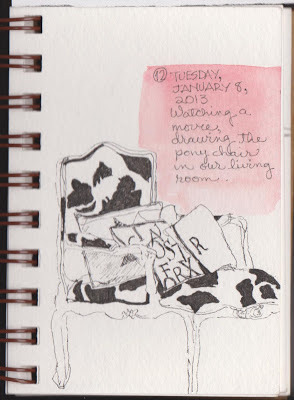 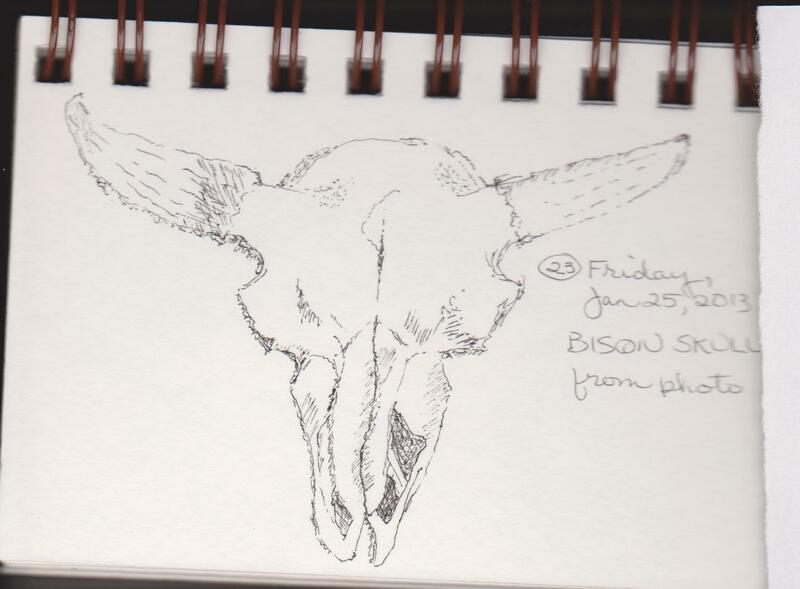 In late December, I restarted Brenda Swenson's pen-and-ink 75-day challenge for about the fifth time. It's hard to keep up with everyday drawing, when there's so much else that needs to be done. 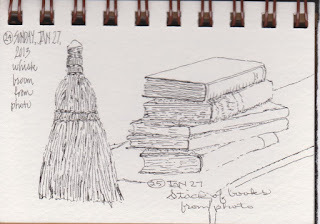 Here are #12 anad #23. 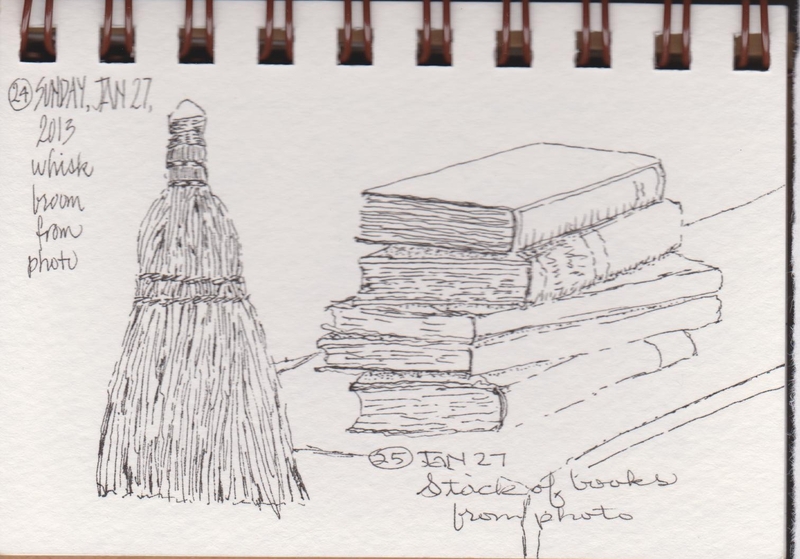 When things are a little less hectic, I'll get out one of Claudia Nice's pen-and-ink instruction books and really learn what I'm doing!